SARASOTA, Fl. (February 22, 2017) — Joseph Grano, President and Founder of Sarasota-based full-service marketing, creative strategy and communications company, Next-Mark, LLC, has been selected by the Forbes Agency Council, an invitation-only community for executives in successful public relations, media strategy, creative and advertising agencies. 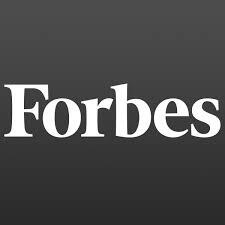 “I am thrilled to be among the select few invited to publish on Forbes.com providing information relevant to marketing communications professionals and organizations seeking marketing communications guidance and advice,” said Joseph Grano. “We are thrilled to have Forbes as a strategic partner,” Grano added. Next-Mark was founded in 2005 to help client organizations reach their full potential through marketing success. Breaking away from the constraints of traditional marketing service organizations, the Next-Mark team facilitates new conversations about their client brands integrating experience, analytics and innovation in developing strategic marketing solutions to meet clients’ individual needs. Next-Mark focuses on internationally and nationally recognized brands along with growing companies across a broad spectrum of categories, including healthcare, hospitality and entertainment, technology, retail, real estate, environmental, marine products and tourism, among others. With clients from Alaska to The Netherlands, its roster includes industry leaders such as LexisNexis, Elsevier, Nuance Communications, Cinebistro, Cobb Luxury Theatres, Yarnall Moving and Storage, Coldwell Banker, California Pizza Kitchen, CitySide Apartments, Bainbridge Financial, Paragon Solutions among many others. For more information, visit their website at www.next-mark.com. Forbes partnered with the founders of Young Entrepreneur Council (YEC) to launch Forbes Councils, invitation-only communities for world-class business professionals in a variety of industries. Members, who are hand-selected by each Council’s community team, receive personalized introductions to each other based on their specific needs and gain access to a wide range of business benefits and services, including best-in-class concierge teams, personalized connections, peer-to-peer learning, a business services marketplace, and the opportunity to share thought leadership content on Forbes.com. For more information about Forbes Agency Council, visit forbescouncils.com.